208 Miles and a lot of laughs. Reach the Beach Relay 2014. Well, I went from one racing adventure to the next. Last weekend I was racing my first triathlon, the Lobsterman Olympic Distance Triathlon. 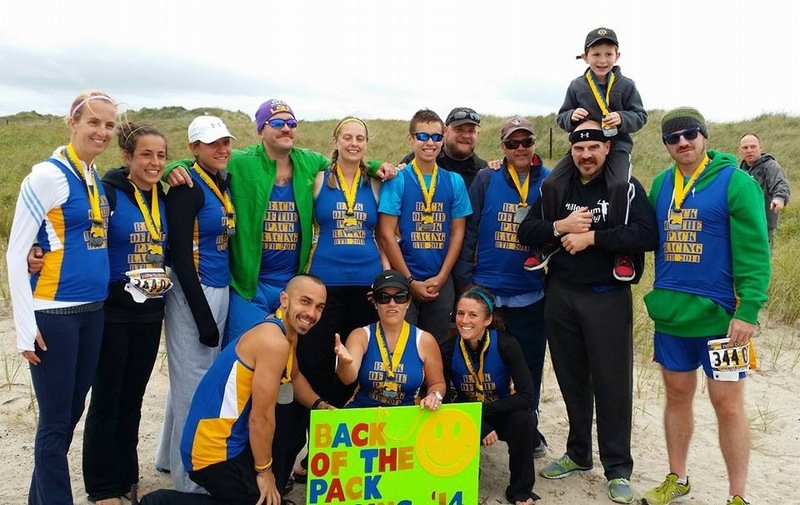 This week I was recruited at the last minute by Back of the Pack Runners to join their 12 person relay team for the New Balance Reach the Beach Relay. I have raced this relay 6 times before however had taken last year off due to the tendonitis in my foot and wasn’t originally planning to race this year either since The Lobsterman was the weekend before. However with about a week to go I received a message from one of Organic Runner Dad’s cousins saying they were in desperate need of a 12th runner to complete their team. Somehow the stars aligned and I was able to be available on race day. Thankfully I have plenty of miles under my belt to race an event like this as I was handed 3 legs totalling 19.9 miles! I am so happy that I had the opportunity to race Reach the Beach again this year as it was a two day laughter and sweat filled adventure with an amazing running team. Running an overnight relay brings out the craziness in people . . . in a good way. Running a relay adds the team element back into a sport that is typically a solo sport. The camaraderie that develops as you check of the miles is one of the best qualities about running Reach the Beach. As you ride and run 208 miles from Cannon Mountain the Hampton Beach, NH your van becomes a rolling “party” on wheels, you turn into a crazy cheerleader for your own runners and the many teams who share the road with you on their crazy quest. 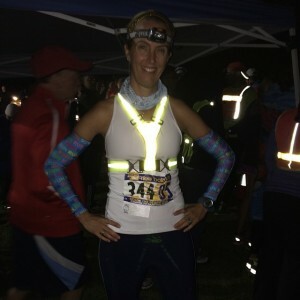 The race course is lined with flashing lights on runners in the middle of the night running determined to reach their “campsite” (a van, or a sleeping bag laid out if you are lucky enough you might even score a tent in tent city. 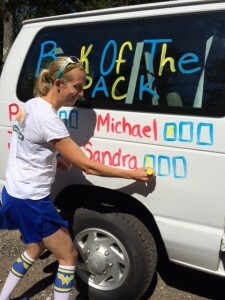 I am thankful to have had this awesome opportunity to race with the Back of the Pack Runners this weekend. Our team reached the beach in 31:03 and placed 85th out of 190 teams in the Freestyle Open Division. The adventure is now behind me but the laughs and the new friends will be with me as I move forward. There are already plans in the works to race again next year! If you raced the New Balance Reach the Beach Relay this year congratulations on making it to the beach! If not, you should definitely check out this unforgettable race! Have you ever raced a team relay event before? If so which one? Cheers for Beers. 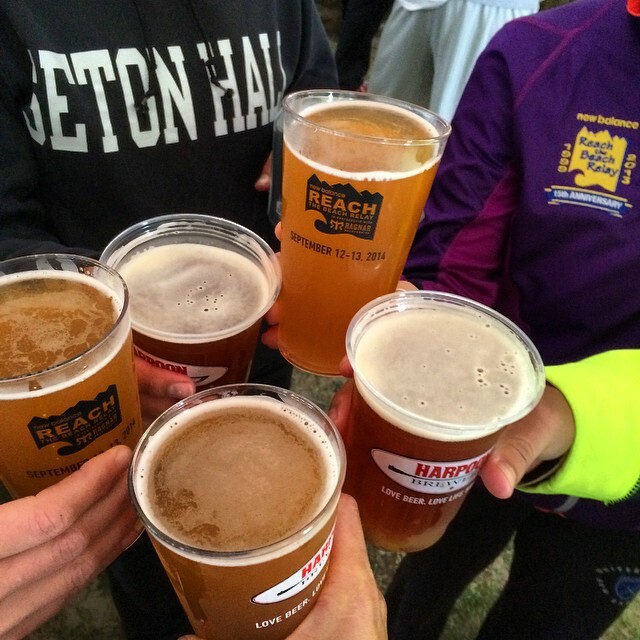 Harpoon Brewery provided the perfect post race beverage! So many relays this weekend! (Well, two :-)) I love reading everybody’s recaps and reliving my own Ragnar SoCal experience. Overnight relays really are the experience of a lifetime. Glad you had a great time! I know! The Ragnar Race sounded like it was a blast too! This was my seventh time and it was still an incredible time! Which relays have you done? I love this race every time I do it! It looks like you had a blast with your team! I know, I can’t believe we still haven’t met up. We need to remedy this situation!! I LOVELOVELOVED following along on social media too as this is an experience ILL never have. CARLA recently posted…What’s your one book on the shelf? #LivingVicariously is great too! Reach the Beach is a like a crazy ridiculous running party on wheels. This was my seventh time and I’ve had fun every year!!! Looks like you had a blast! 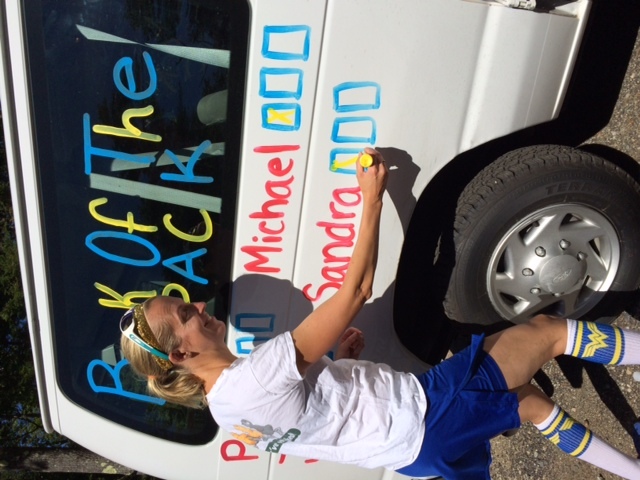 I didn’t do it this year, but I have run Hood to Coast for the two years before that! So fun! I’ve yet to run a relay! They look like SO much fun! Congrats on your team’s finish! Thanks Heather! It is a such an awesome adventure! You should put it on your bucket list! Looks like you had a blast this weekend to at the O2X Summit Challenge. Congrats! It was a blast! I think we need to pull together a blogger team for one of these relays! It would be such fun! Hope everything is going well with sweet little Julia! I have never done a team relay but they all look so fun. Glad you had such a great time and I enjoyed your pics too. If you ever have the chance to do a relay I would definitely reccomend it! Such fun! Do you have any races or big runs planned? What an unforgettable experience that must have been. If you ever hear of a team needing a runner think of me! So fun, reading the updates always makes me want to do a relay. I would highly recommend it Abby. Such an incredibly fun time with lots of running thrown in! 3rd time running RTBNH- 1st time with a full team of 12, though! Scored the double medal for also running Ragnar FL Keys in February. 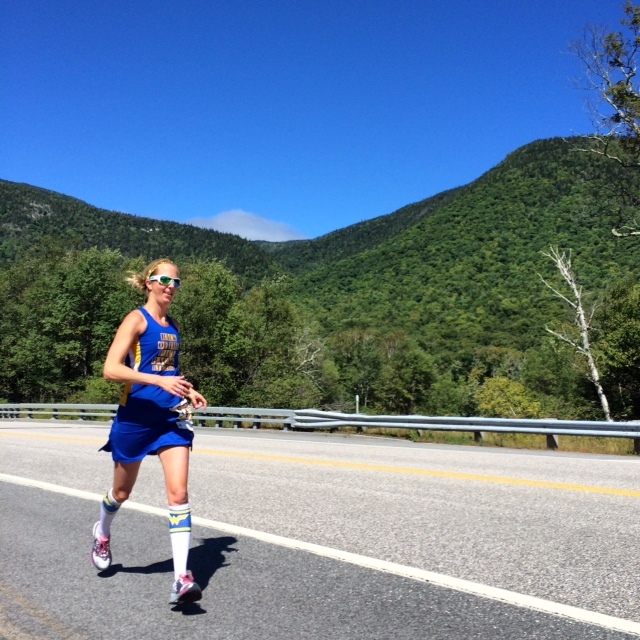 All great experiences and hard to describe to anyone who hasn’t run one – right??? Good times!!! Nice work on the double medal!!! It was so fantastic this year at RTBNH! I hear the Ragnar races are great and Reach the Beach has actually teamed up with Ragnar. Running from Chattanooga to Nashville TN sounds like it would be a blast! Great job! My best running friend ran Reach the Beach this year on New Balance Canada’s #Teameh and she had a blast! Last year I ran Ragnar So Cal with Running Rachel and it was so much fun – I love team relay races! I was supposed to do Ragnar Niagara this year and I volunteered last year in order to get free entry but the race was cancelled/post-poned until 2016. I’m glad you had a great time! Awesome! She must have loved it! Looks awesome! I would love to do it someday! You would have a such a blast!